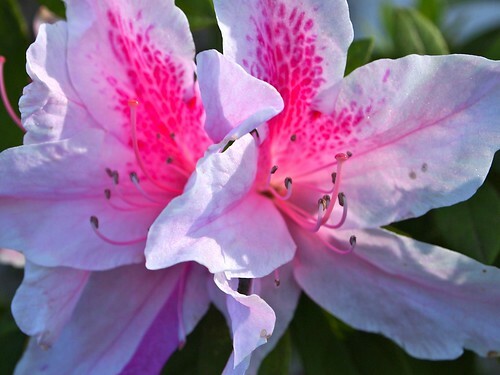 The azaleas have started to bloom here, pretty much on schedule according to my gardening calendar. Categorized under: Flowers, Nature/Outdoors, Photos, Plants. ← Elsewhere: Books: 100 books about the world around us: Nature, science, math, and applied crafts.